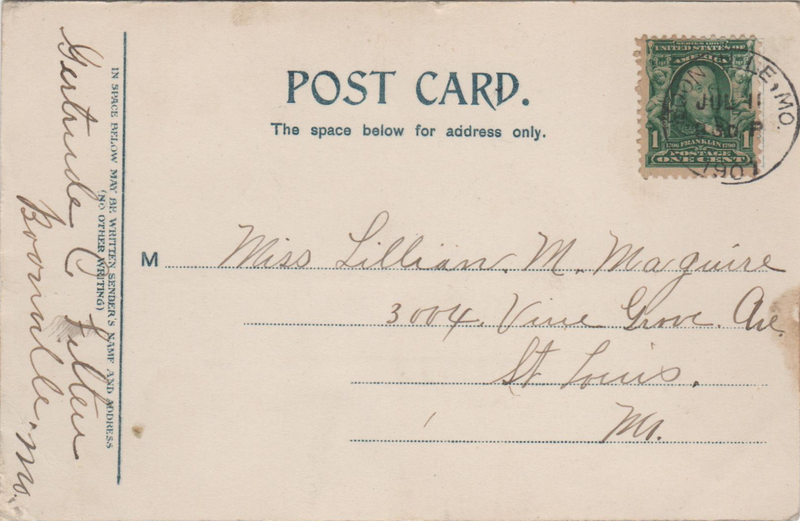 Addressee: Miss Lillian M. Maguire, 3004 Vine Grove Ave., St. Louis, Mi. Image: Hotel Frederick, Boonville, Mo. Gertrude C. Felten, Boonville, Mo. 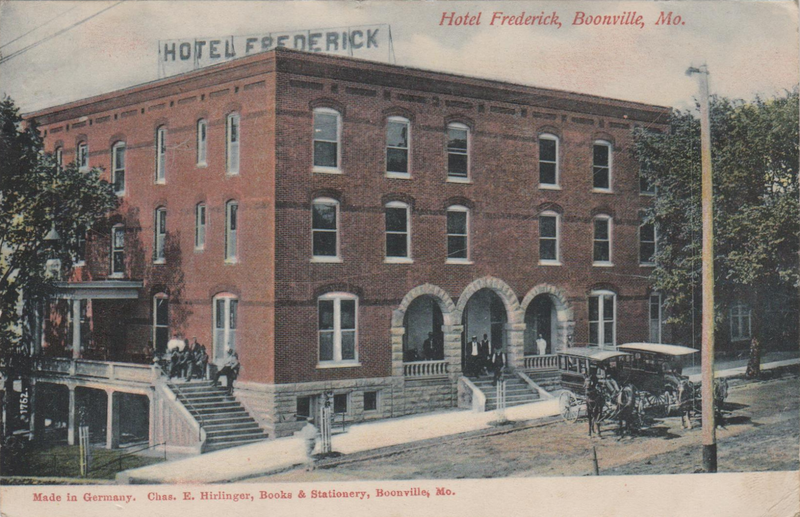 Sent from Booneville, MO, this postcard depicts the Hotel Frederick, built just two years before, in 1905. Considered a significant local landmark, this hotel is still serving guests and drawing great reviews. Just reading about the hotel's restoration and the fine reviews makes me want to visit it! This postcard to Lillian has no message and is simply signed by Gertrude C. Felten, in Boonville Mo. Note that the address to Miss Lillian M. Maguire is written in a different hand. So one person addressed the postcard, and another signed it. Hmmmmm. I'll have to watch the postcards to see if that handwriting shows up again.